Johnny Todd is a Liverpool folk song most famous as the “Theme from Z-Cars” and associated with Everton F.C. and Watford F.C. The song is known through a collector of folk songs; Frank Kidson, who heard it from Liverpool school children. This version is by Bob Roberts, a folk singer who also happens to have been the last captain of a British commercial vessel operating under sail. I guess that’s the kind of back story that really gives a rendition some clout! 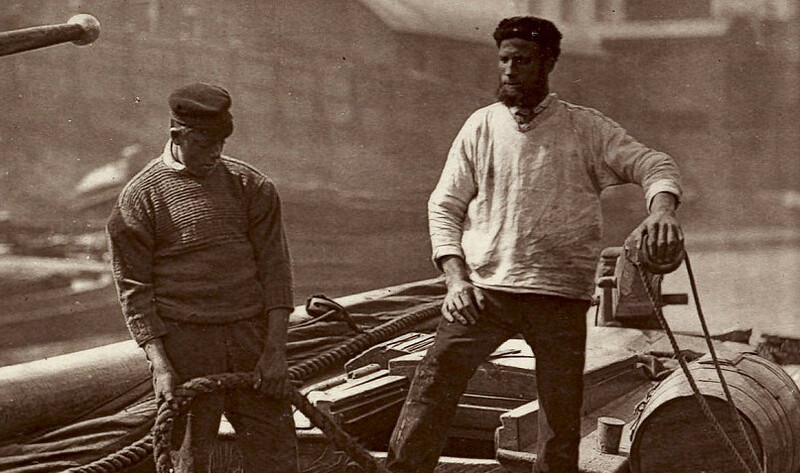 Picture courtesy of The British Library – actually of Thames bargemen; but appropriate I thought.